STREAMERS -- Used by fly fishers who are serious about catching fish. 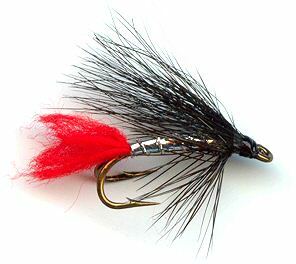 If you are serious about catching fish as a fly fisherman, your surest bet is to use the streamer lure. This lure is a type of wet fly that was designed to be cast forcefully into the water, imitating a critter that likes to dive. Trout seem to feel that these make for the best dinners of them all--perhaps it's the movement that attracts them or perhaps they've figured out that these kinds of critters taste great and are more filling. 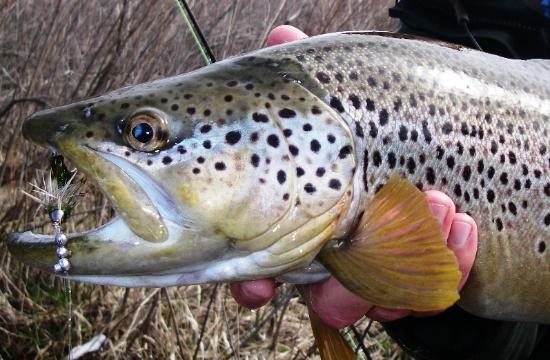 Whatever the reason, trout are the biggest suckers for the streamer. Although these lures are attempting to imitate tiny fish, they still get tied with the usual array of materials such as bucktail, deer fur, rabbit fur, and hackles. 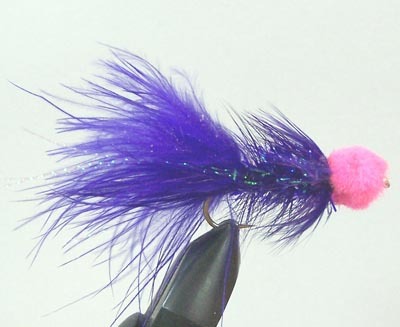 Many fishermen have found that if "eyes" are depicted on a streamer it increases its attractiveness. One technique experienced anglers love to use with these flies is attaching a split-shot on the leader that's just in front of the fly. 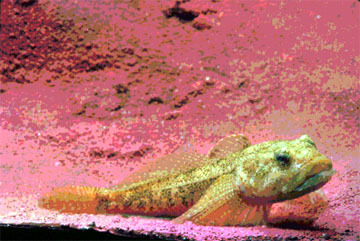 This gives it more "bounce" in the water and in the brain of a trout it moves just like a wounded fish that's easy prey. 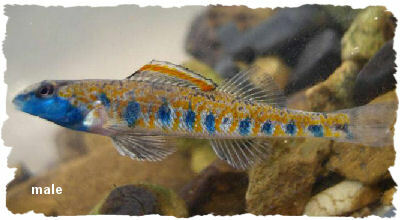 There is however a special member of this specie of lures called the Woolly Bugger. Believed to have been created by Russell Blessing ("Pennsylvania Fly Tyer") back in 1967 to resemble a hellgrammite, or Dobsonfly nymph, this takeoff on the Woolly Worm fly simultaneously imitates almost everything a fish will chase, giving it a "universal" appeal. 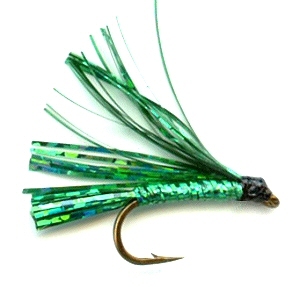 Many anglers swear that the Woolly Bugger is their single most successful streaming lure. 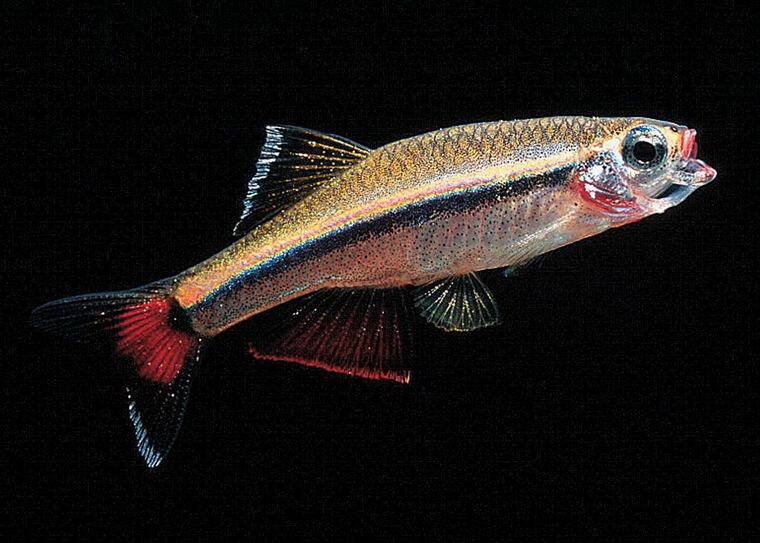 Woolly Buggers and some streaming lures that aren't really modeled on any particular baitfish but just try to appear quick, shiny, and colorful to catch a fish's attention are known as "attractors." 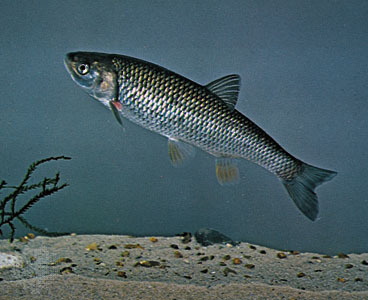 Attractors are great streaming lures for catching a plethora of fish and they can also be used as a "change up" when the “imitators” (artificial lures that are designed to look like the actual baitfish) aren't having the desired effect.